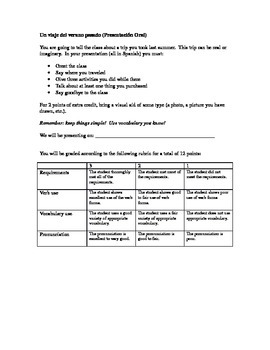 Directions and rubric for verbal Spanish presentation describing a trip a student took. Set five requirements to meet and opportunity for extra credit for relevant visual aid. Fits into Avancemos 2 U1L2 quite well.